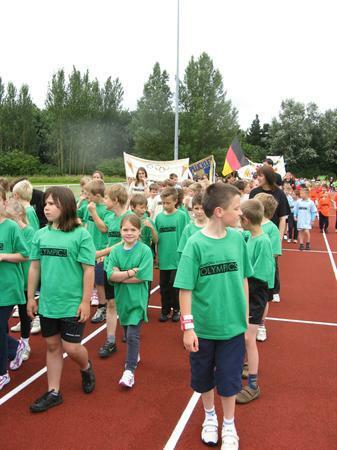 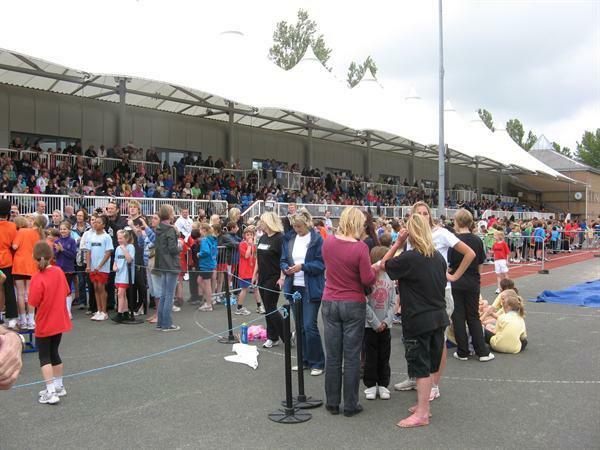 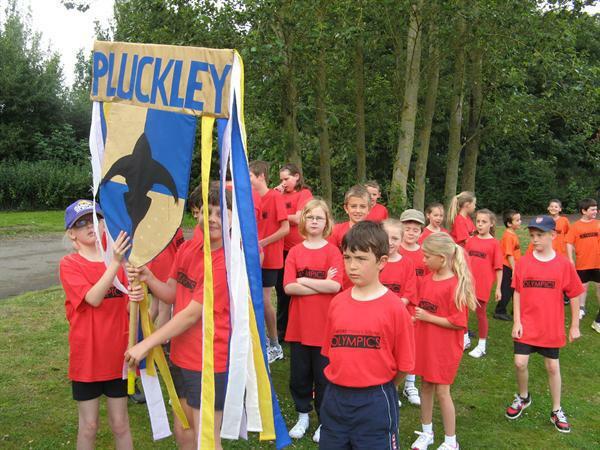 A team of 25 children from Pluckley School represented the School in the Ashford Primary Schools Olympic Games at the Julie Rose Stadium. 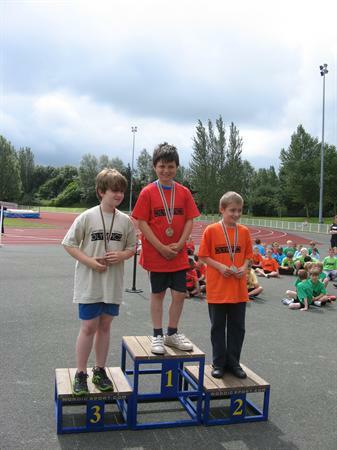 Great fun was had by all as they competed against over 40 schools. 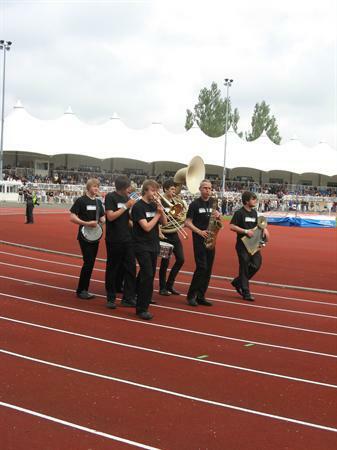 The event was started with an Opening Ceremony lead by The Norton Knatchbull Jazz Band around the track each school had coloured Tshirts especially for the event and banners for their school. 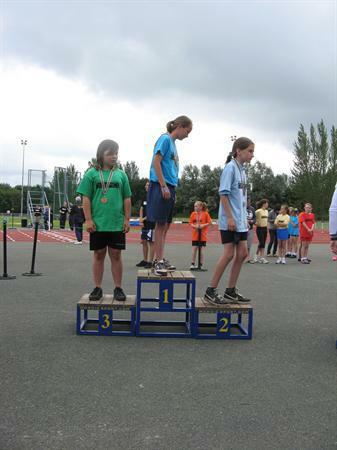 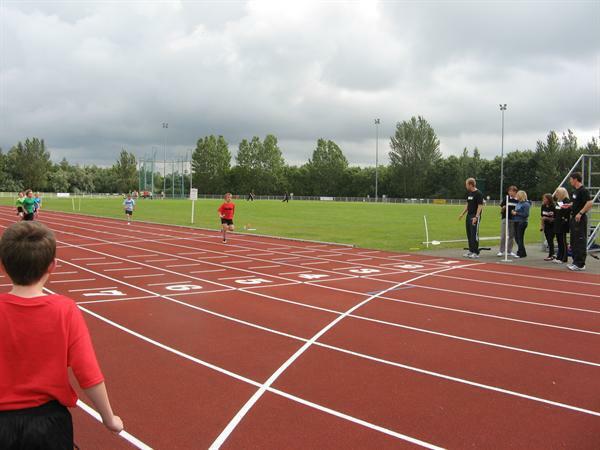 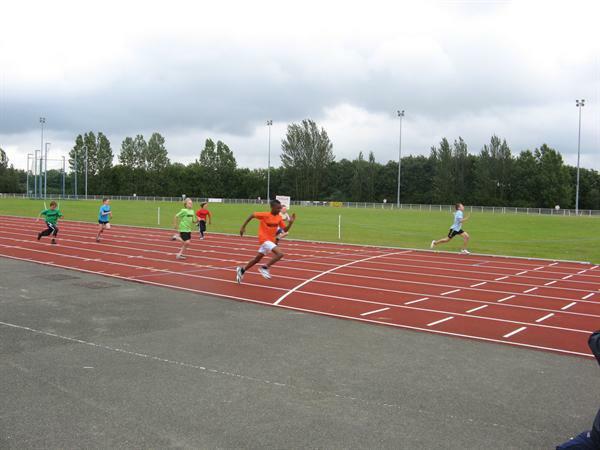 The children took part in a variety of track and field events such as long jump, throwing, 800m, 400m, 80m sprint, relay and many more. 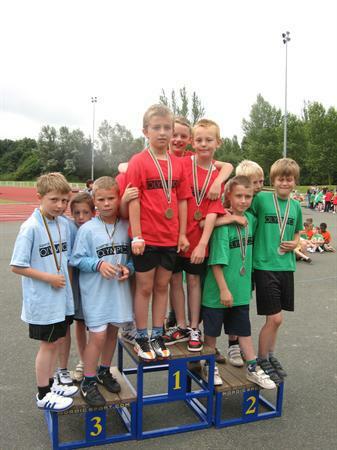 We had great success with the boys relay team ( Sam Taunton, Finn Cassidy, Daniel Meehan and Harry Sharrad) and Ben Askey Brown in the throwing winning a gold medal! 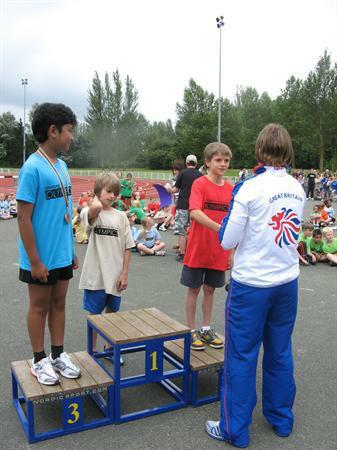 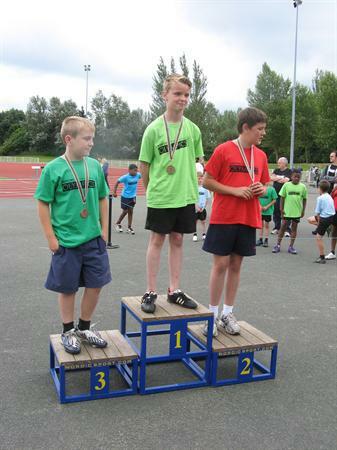 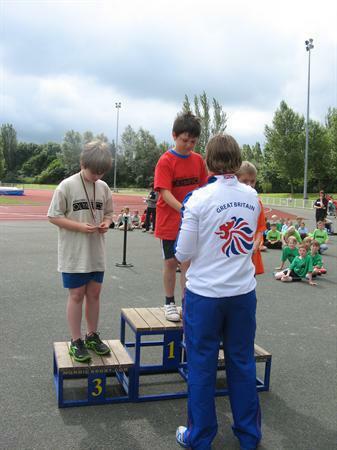 Finlay Lincoln won silver in the long jump and Joseph Cunningham gained a Bronze medal. 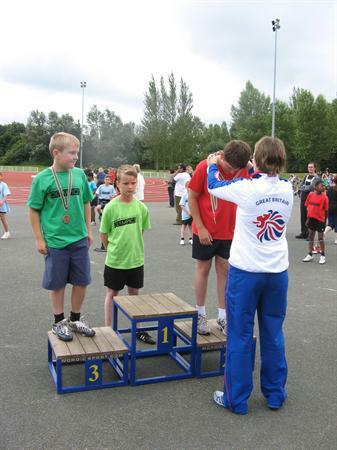 We were fortunate to have the support of Smarden School who were cheering along side us throughout, they also gained medals gaining silver in the boys relay, bronze in the girls jumping and bronze in the boys jumping. 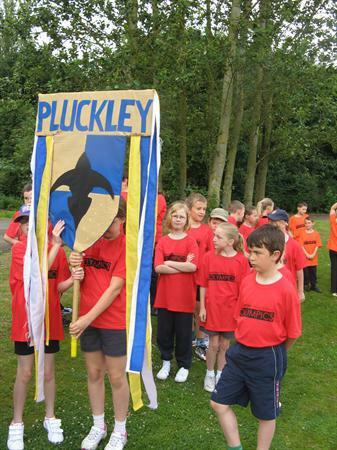 Well done to everyone who took part it was a true team effort!